As a snowstorm swept across several U.S. states including Kentucky, drivers were left to brave the slippery road conditions. In Kentucky, some motorists were stranded for hours in traffic. The Kentucky Transportation Cabinet also lost one employee. He was plowing snow from highways. Christopher Adams called his supervisor to report that his snow plow had slid off into a ditch. When the supervisor arrived to the area, Adams was already unresponsive in his seat. Our condolences go out to the Adams family and friends. Don’t leave the house until you’ve checked road conditions. You may have to change your route because some highways and roads might be impassable. Leave earlier than usual and in proper gear (winter coat, gloves, scarf, etc.). Expect traffic buildup and always keep calm. Dress in layers or bring warm clothing/a blanket with you, just in case you slide off the road or get stuck. Be patient around snow plows. These workers are working to improve road conditions for drivers like you. Don’t pass the plow. Visibility may be down to zero around a snow plow so make sure to stay back. According to reports, Louisville has accumulated the least amount of snow this winter (so far), while Jackson has had the highest snow total (so far). While snow is pretty, we don’t know when it’s going to clear up. Until it does, always stay up-to-date on the weather and road conditions. This will help keep you safe and allow you to prepare for your trip. Related: Is Rain More Dangerous Than Snow And Ice? As a Kentucky Car Accident Attorney, I appreciate road crews doing a good job with clearing the roads despite the dangerous weather conditions. Please remember that workers can only do so much when it comes to keeping roads clear of snow and ice. 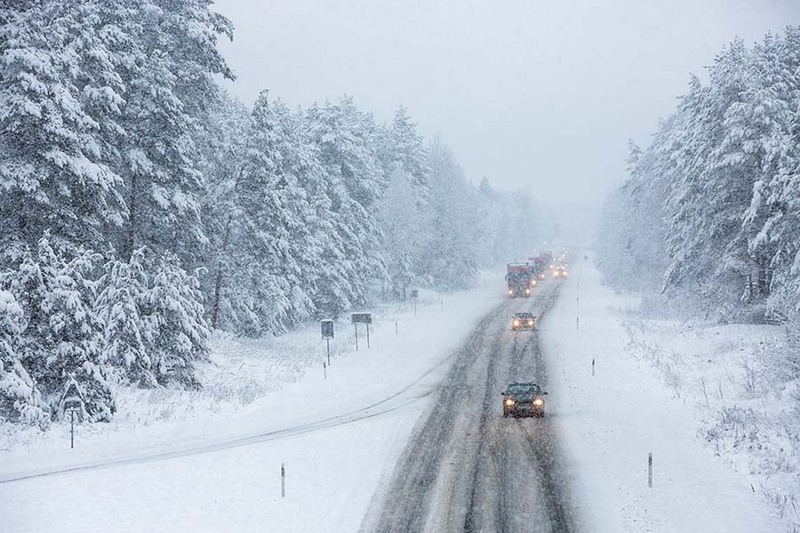 It’s also important for drivers to practice safe driving behavior, regardless of the season. Always look out for others on the road as you want them to look out for you and your loved ones. If you ever slide off the road or are in a crash, always call the police first. They will write an accident report and gather information about the incident. If your car is stuck, you may also need to call a tow truck. Once that is done, it’s not a bad idea to go to the doctor to make sure you are not hurt. Then, if you think legal action is necessary, contact a local attorney. They will help you with your rights.